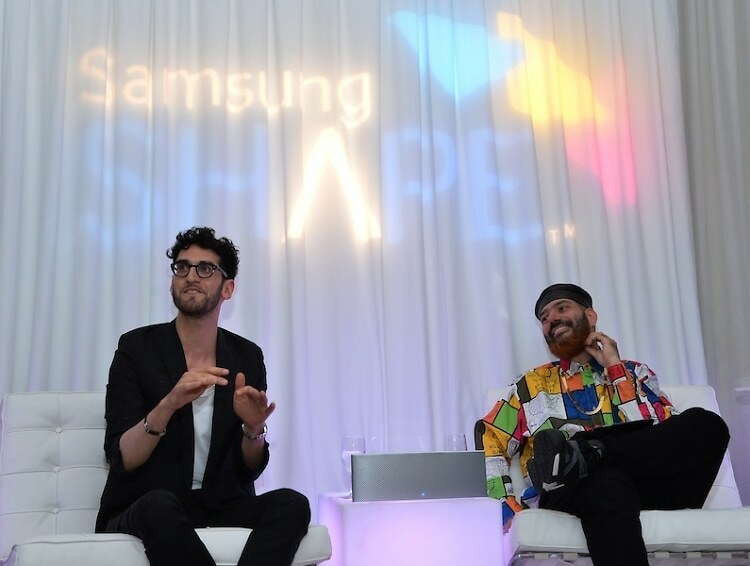 Interview: Chromeo Talks Rick James, Coachella & More At The Samsung Shape Summer Mix Series! 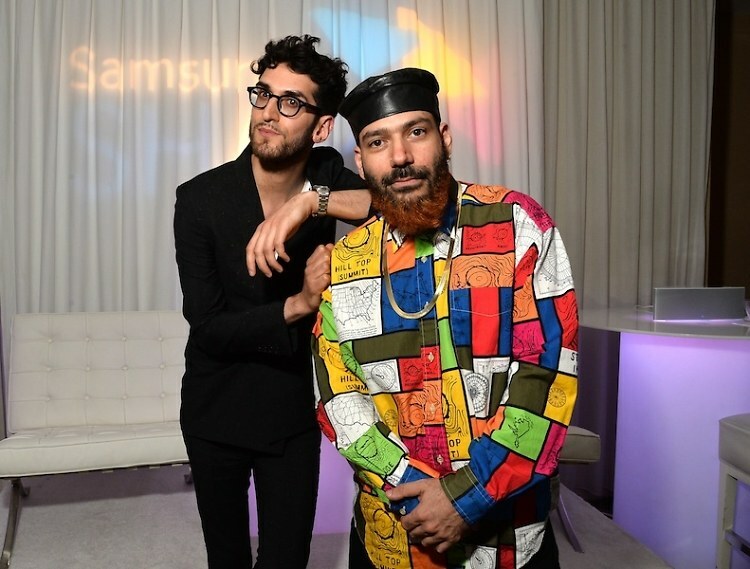 Last night Samsung kicked off their Summer Mix Series with electro-funk duo Chromeo hosting an intimate party and panel discussion about their music. 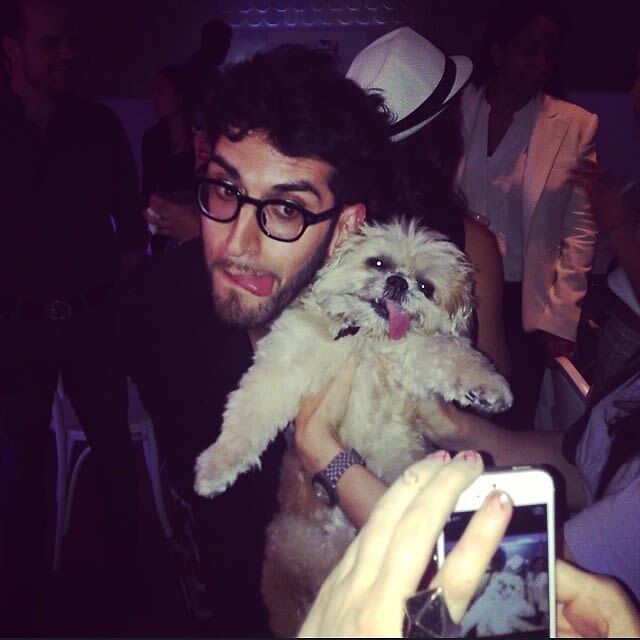 Guests made their way to the Mondrian Soho's secret library room, where Dave 1 and P-Thugg excitedly greeted them. 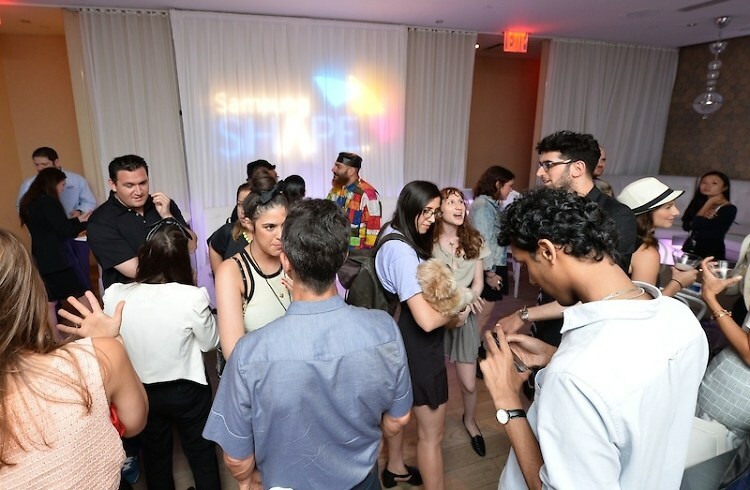 Samsung set up a Twitter contest where users could tweet Chromeo questions, and 3 of them would be awarded the new Samsung Shape speaker which was on display at the event. Dave 1 even took the time to answer many more than 3 questions on Twitter to the fans' surprise. Soon after, cocktails and small bites were brought in as the crowd mingled. P-Thugg talked about the music making process with us, and how some songs can be finished in 10 minutes while others can take months. We also chatted with Dave 1 about French literature—his field of study at Columbia—and enjoyed conversing about Celine, Flaubert, and his personal favorite, Marcel Proust. Click through for the full interview! "...EDM is the first mainstream music that exemplifies how music can be made by any kid on a laptop. And in that respect it's the first time that totally democratic, laptop, anybody-can-do-it at home or on a plane music blew up in the mainstream. And we think that's super cool." One of the highlights came when Chromeo was asked about their favorite track on the mix, and they picked a Rick James song. They talked about how people are afraid to admit they like artists like Rick James or Hall & Oates, but how their music is actually brilliant, and followed it up with the quote of the night: "An Arab and a Jew came together for one common god, Rick James." 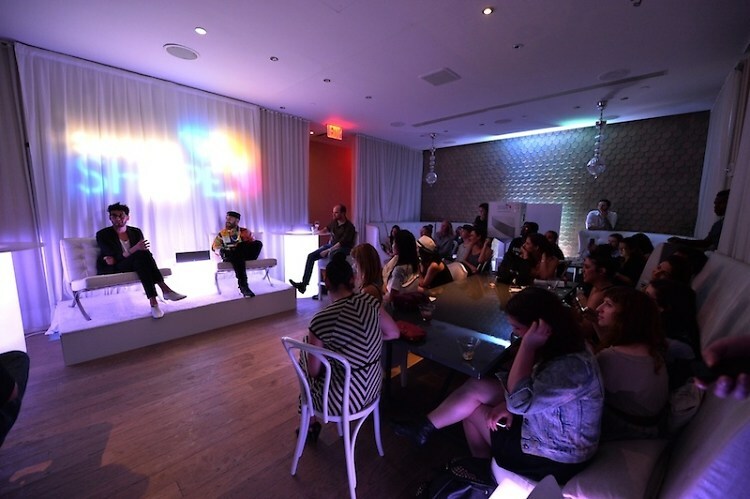 The discussion ended with someone asking what Chromeo's mission statement would be, and they aptly answered "Funk the world." 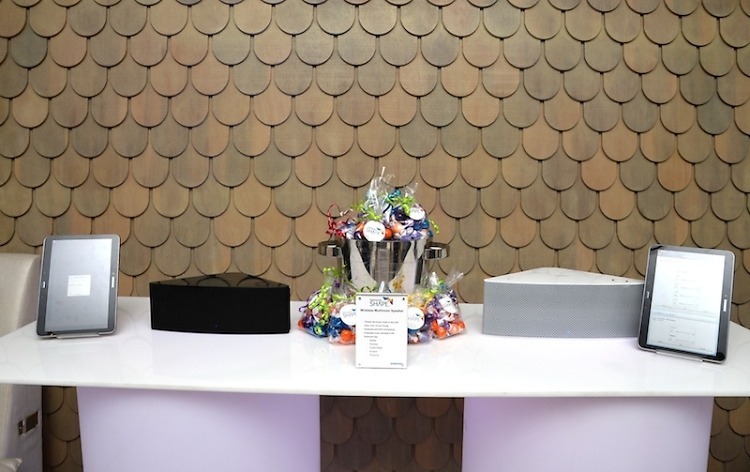 When you have downtime in New York, where are your favorite spots to party? Dave 1: I don't really go to clubs much unless a friend of ours is playing. When we're here it's more like R&R and studio time, but Le Bain is always fun, smaller spots like that. Westway is cool, Jane is good. Dave 1: There are too many...I live across the street from Marlow in Williamsburg, so that's my every night. Dave, you did a fashion collaboration with Frank & Oak last year, do you have any plans for more fashion projects? Dave 1: Yeah! We got our collaboration with Surface To Air dropping in September. Would you want to pursue fashion more often? Dave 1: Organically, you know? If it happens it's cool, you don't have to force these things. We love doing it, so if the opportunities arise, we'd love to keep it going. You've had the funk thing locked down for years, even when people considered genres like disco 'corny' 10 years ago. Dave 1: We picked the perfect time to start [laughs]. Why do you think the genre is blossoming all of a sudden? P-Thugg: It's the natural cycle of things. Dave 1: It was only a matter of time, it takes the right mainstream artists to give it a little bit of cred, and then all of a sudden everybody's ears become open to it which is why the Daft Punk thing was so helpful to us. It made everyone aware that this is great music that people enjoy anyway. It plays at every wedding, I mean Michael Jackson is at every Bar Mitzvah, why are you going to act like you don't listen to this every day anyway? 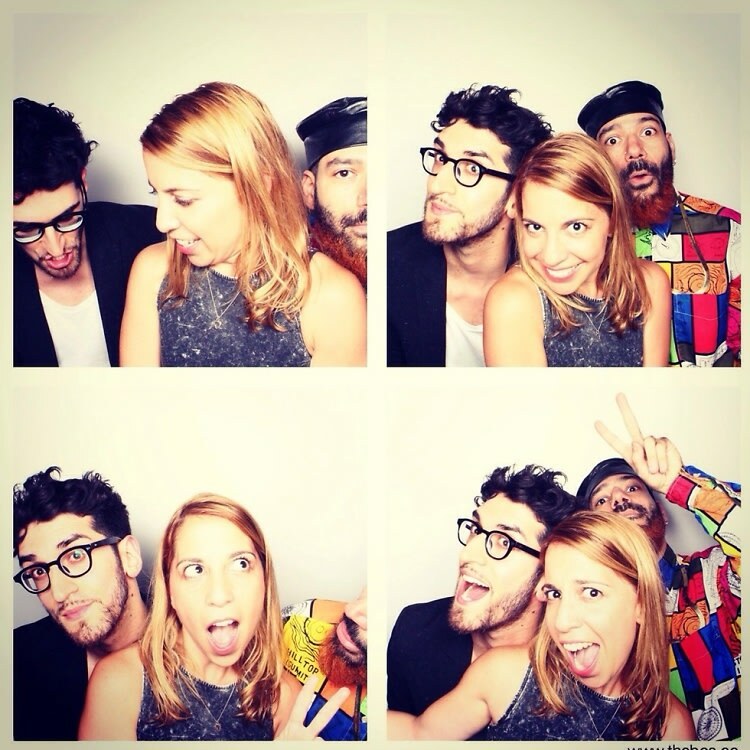 Every day is your Bar Mitzvah with Chromeo [laughs]. You just got back from playing EDC, and you're on the festival circuit pretty heavily this year. Do you have any favorite live performances you saw this year? Dave 1: The second week at Coachella they were really good. How about favorites of all time? P-Thugg: We saw Portishead. We saw them right after one of our sets. Dave 1: We saw them at Coachella but we also saw them in Portugal. That was great. We saw Kraftwerk a couple of times, once in Brazil, and once at Coachella back in the day. P-Thugg: We saw Prince at Coachella. Dave 1: At the first Coachella we played, back in the day. That was really good. And any Kanye show. With the landing strip stage decor. Always inspiring. That was up there. Are there any artists you're listening to right now that you think should be on the radar? Dave 1: Well we're really close with the Fool's Gold guys, because of my brother. Oliver worked on our record, pretty much everybody on Fool's Gold. They just signed this kid called Hood Boy who's amazing, they just signed this kid called Giraffage who's really great. You know him, he's killer and he's on Fool's Gold now. Fool's Gold is kind of the incubator for all the things we love. What is the key to creating a great mix? Dave 1: I think one theme is cool, I think themes are really good. P-Thugg: Yeah, themes. Don't try to be eclectic and grasp everything that's going on at once. Dave 1: Yeah, you can be eclectic within a theme. This Summer Mix was pretty cohesive, this one was kind of funk. All summer-y jams but funk. P-Thugg: Funk and kind of like pop-reggae summer jams. Dave 1: But you can also do something like 'all my favorite songs from high-school prom' and it will hit people a certain way. You can do a mix of just B-sides. The other day we were in the car and I was improvising a mix of late '90s posse cuts, rap posse cuts. It sort of runs the gamut but you have this unifying direction. What's cool about that is you don't have to be a DJ to do that, you just have to have a good memory or good search engine [laughs]. Just good memory plus Google.